The entire Office package in the cloud! Everything you need on one platform in the cloud! Get all the business applications you need to run your business on a single platform in the cloud! Our all-in-one business IT platform includes everything you need to run a modern enterprise in growth. This means everything from ERP to Business Intelligence, e-mail client, file sharing, etc. The solution is based on a subscription basis, which means you only have to pay a monthly fee per user. This way you know your costs in advance and since it's all located in the cloud, you do not have to worry about operating costs. 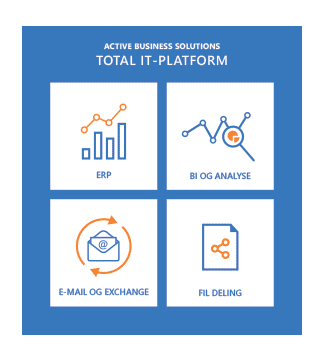 In short, with ABS Total IT platform, it becomes administratively easier for you to run business. 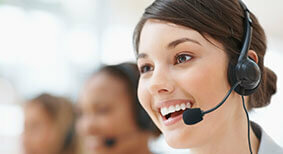 Read much more about our package solution. 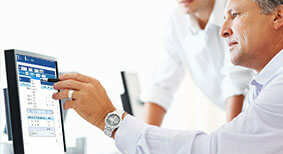 Through dedicated and professional consulting service, we help your company achieve results through the right software. 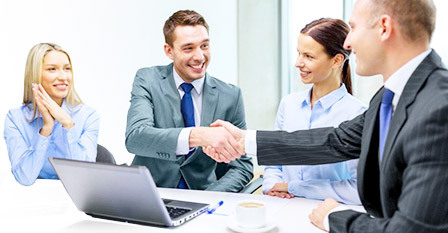 For us it is a crucial factor that we can provide value to your business and you will see us as a dedicated and committed business partner from the initial contact to delivery and follow up. business value to your company"
The system fulfills all of the special challenges that exist in your company and within the industry you operate. 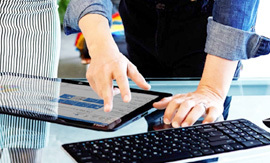 Make the most of your data with Microsoft's business solutions. 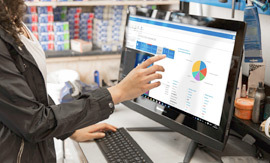 Microsoft's business solutions helps your company digital and data-driven through a wide variety of applications ranging from intelligent systems to predictive analysis tools and machine learning. Dynamics 365 is a combination of ERP and CRM in one solution hosted in the cloud. 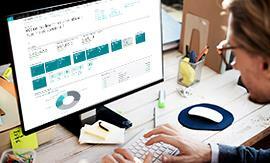 The service is aimed at those customers who would otherwise choose either a Dynamics NAV or AX solution integrated with Dynamics CRM. Every industry has its own needs and requirements for what a financial system should cover of functionalities. 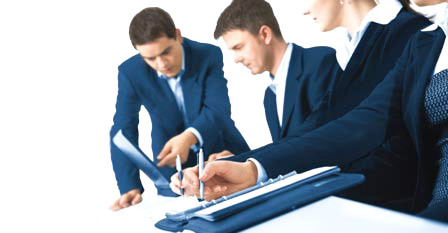 In Active Business Solutions we have through projects with various companies acquired competencies within a wide range of different industries. 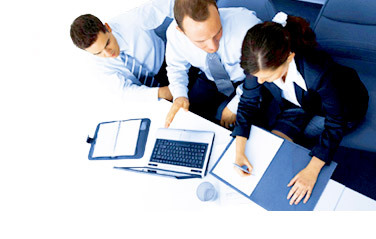 Microsoft Dynamics NAV provides a comprehensive business management functionality. The ERP system which includes everything from your financials to your supply chain to manufacturing and more. The solution fulfills a whole range of your needs and cover a wide range of internal business areas, which are internal to your business. Many years of experience have made ​​us experts in analysis, development, system integration and implementation of Dynamics NAV and related systems. But we are still as passionate as when we started, and always look forward to new projects and challenges. Read more about why we, as your partner can optimize and improve the performance of your business. An Implementation project has considerable influence on the structure of your company. 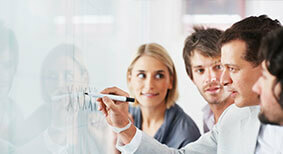 Therefore it is important to select the right Dynamics NAV / Navision partner. Our customer support provides ongoing advice and answers to issues related to the daily operations and general use of your financial management and Dynamics NAV. Microsoft Dynamics NAV 2015 is more powerful than its predecessors and simpler to implement and use. The solution supports as something new also mobile devices. We develop fully integrated add-on software that is customized to your specific needs and complement Dynamics NAV and increases the functionalities. 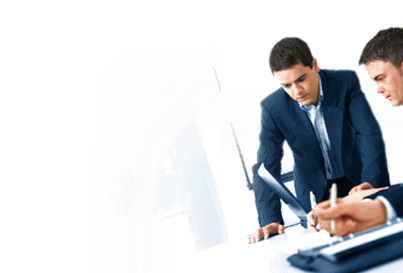 Active Business Solutions has solved a wide range of different tasks for several companies, large and small, which belong to completely different industries. 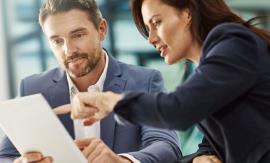 Read here with the words of our customers why Active Business Solutions are the industry's best Dynamics NAV partner. 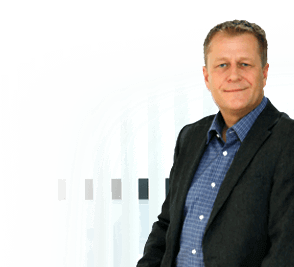 "The cooperation with Active Solution has been a success"
"Active Business Solutions provides a top professional service"
"We've got a less time-consuming and simpler workflow"